A heat wave is expected to grip South Korea over the weekend, with the mercury forecast to surge above 35 C in the southwest region, meteorological officials said Saturday. 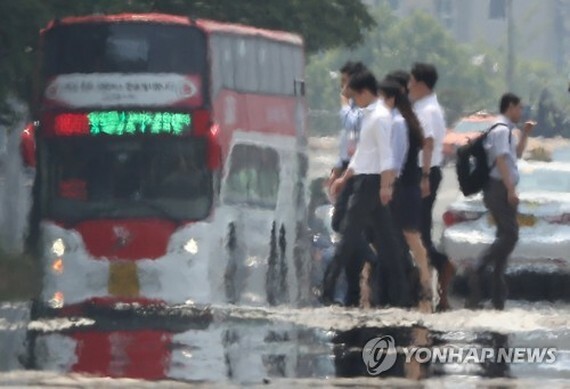 The Yonhap said, the Korea Meteorological Administration (KMA) issued this year's first heat wave warning for Gwangju, about 330 km south of Seoul, and its surrounding areas. The KMA said the warning was announced at 11 a.m., as the daily high in the southwestern metropolitan city is expected to remain above 35 C for two consecutive days. "The warning was issued because some locations within Gwangju are predicted to see the temperature rise above 35 C during the day," said a KMA official. Sweltering heat is also expected to envelop other parts of the country, as a heat wave advisory was issued for the Seoul metropolitan area and central provinces as of 10 a.m., said the KMA. Even mountainous areas in Gangwon Province, east of Seoul, came under heat wave advisory, it noted. The daily high is expected to reach 31 C in Seoul and 33 C in Daegu and Chuncheon of Gangwon Province, the agency said.